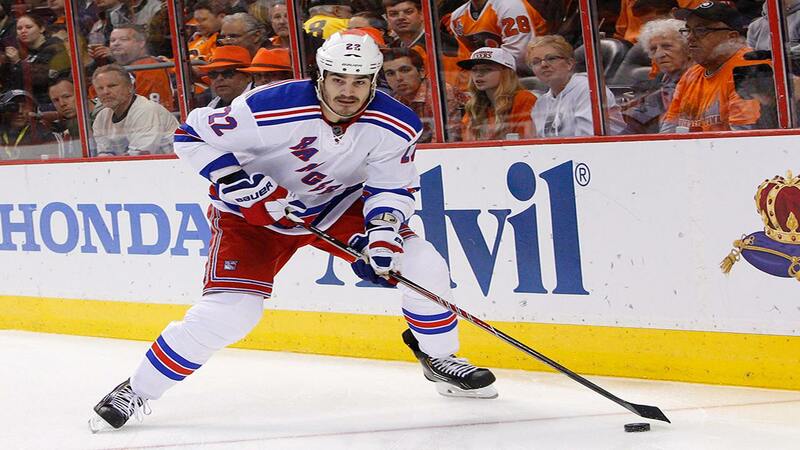 NEW YORK (WABC) -- Somber news out of the NHL on Tuesday when reports surfaced that former NY Rangers and current NJ Devils center Brian Boyle was diagnosed with chronic myeloid leukemia (CML). During a conference call Devils team internist, Dr. Michael Farber said that they discovered it early in bloodwork performed during team physicals prior to training camp. Treatment will begin immediately for Boyle. He set his timetable for return to opening night on October 7th. While his health and recovery are the most important thing, this timetable doesn't surprise many who watched him play for the Rangers from 2009 - 2014. Boyle was a constant on the 4th line and played a significant part in the team that went to the Stanley Cup Finals in 2014. The Devils signed Boyle to a 2 year, $5.5 million deal over the summer. They added a veteran presence to help bring stability to a young and upcoming New Jersey lineup. In addition to that, his fearless play in blocking shots and physical toughness is a welcome addition to any line-up on any night in the NHL. Boyle's lionhearted approach to his game will also follow him well in perhaps his greatest battle yet. Devils forward Brian Boyle has been diagnosed with chronic myeloid leukemia.